Observator Instruments has added a customised, low power IoT (Internet of Things) Gateway to its wind and weather alarm systems. The new solution means real-time data is saved and monitored in a cloud server with alarm handling through a web based browser. 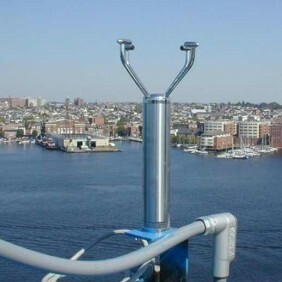 Observator Instruments has long history of manufacturing and supplying wind and weather systems to the Maritime Industry. Observator instruments is a systems integrator and product development specialist, so we are well suited to meet a myriad of custom system requirements. Wind alarm systems can be configured many different ways but in most scenarios we have found that a low voltage wireless system offers the most flexibility and are easy to install by local electrical contractors or the end user. For safety and mission critical applications a logger with remote telemetry is advisable for off-site alarms or monitoring.